MOSCOW, Russia -- Deputy Prime Minister Igor Sechin said Saturday that Russia was considering cutting the price of gas for Ukraine in exchange for participation in the country's energy sector. "We are preparing the decision," Sechin said. "The parameters are under final discussion now," he said, adding that a decision could be made Tuesday, when Ukrainian Fuel and Energy Minister Yuri Boiko returns to Moscow for additional talks. Moscow and Kiev are due to resume talks on gas supplies Tuesday, a day before President Dmitry Medvedev meets his Ukrainian counterpart, Viktor Yanukovych, in Kiev. A deal should pave the way for Ukraine to approve its 2010 budget and secure more financing from the International Monetary Fund. 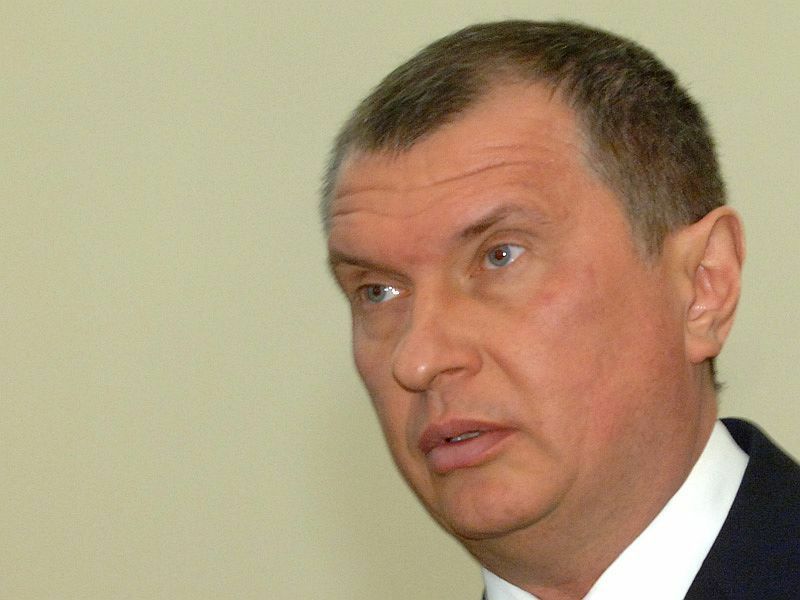 "One of the questions we are indeed discussing is a price discount," Sechin told reporters in Murmansk. "The Ukrainian side proposes an exchange. We have many interests, particularly in the energy sector — in particular hydropower generation, the nuclear industry and many others." The Russian government said Friday that it had agreed with Kiev to approve agreements reached by Gazprom and its Ukrainian partners, but it gave no details. Gazprom CEO Alexei Miller met Boiko in Moscow to discuss contracts for supply and transit, Ukraine's government said in a statement. "We recorded some progress in reaching agreement on the review of gas contracts," the Ukrainian government said. Meanwhile, Medvedev told reporters in Brasilia that he would make an unscheduled visit to Yanukovych next week and that gas talks were continuing. "As far as gas is concerned... our Ukrainian colleagues believe that gas prices are quite heavy for the current economic situation in Ukraine," Medvedev said on the sidelines of a summit of leaders of Brazil, Russia, India and China. He said he hoped that the deal could be signed during his visit to Ukraine, although he added that it was "not a closed subject." Kiev has already signaled its readiness to change legislation that forbids the privatization of its pipelines, which would allow Russia and the European Union to co-manage and upgrade the outdated system. Prime Minister Vladimir Putin said last week that Moscow might lend $5 billion to $6 billion to Ukraine to construct two nuclear reactors. Elected president in February, Yanukovych has moved swiftly to repair ties with Moscow. But he has said a 10-year gas-supply deal signed in January 2009 exacts an unfair price from his country. Ukraine paid $305 per 1,000 cubic meters in the first quarter and wants its total annual gas bill to be lowered by $4 billion, with an average price of $240 to $260 per 1,000 cubic meters for 2010. Kommersant reported on Friday that Ukraine planned to offer Russian companies its gas-storage facilities for rent and stakes in the Kremenchug refinery and future nuclear reactors, in exchange for a $4 billion discount on gas purchases this year.